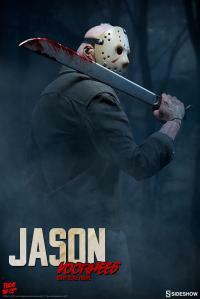 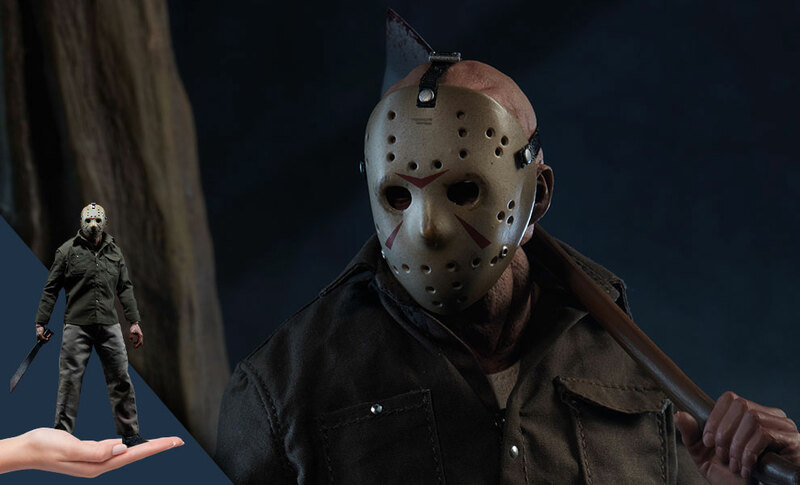 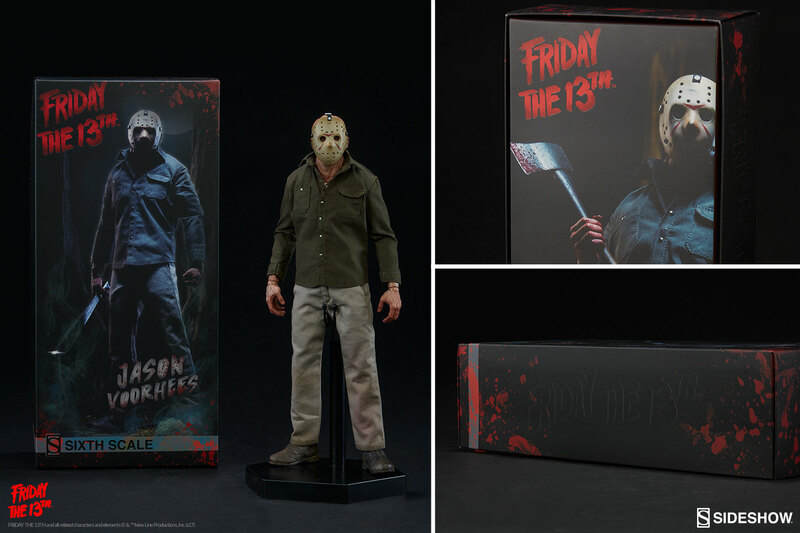 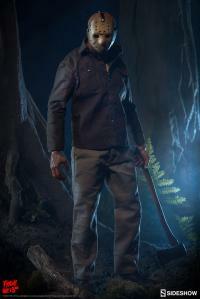 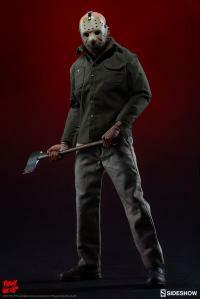 Sideshow is proud to introduce the Jason Voorhees Sixth Scale Collectible Figure! 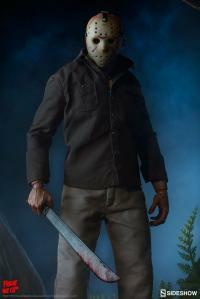 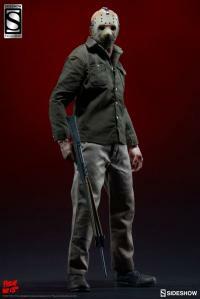 This representation of Jason is taken directly from Friday the 13th Pt. 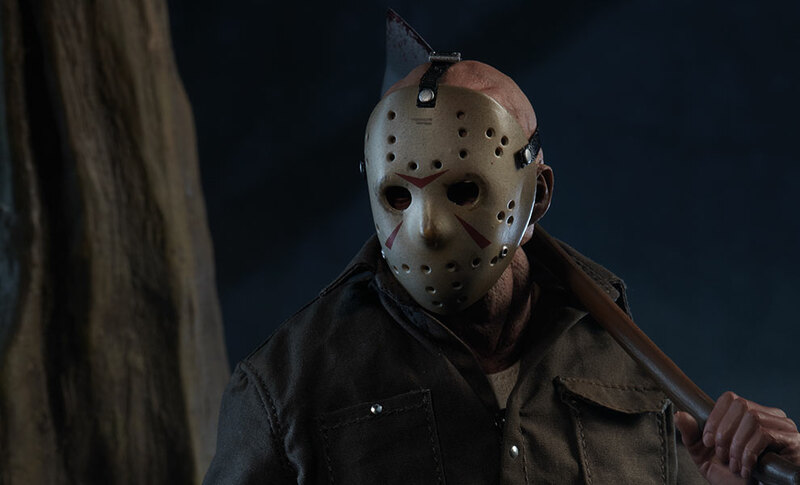 III, where the now ubiquitous hockey mask was first introduced. 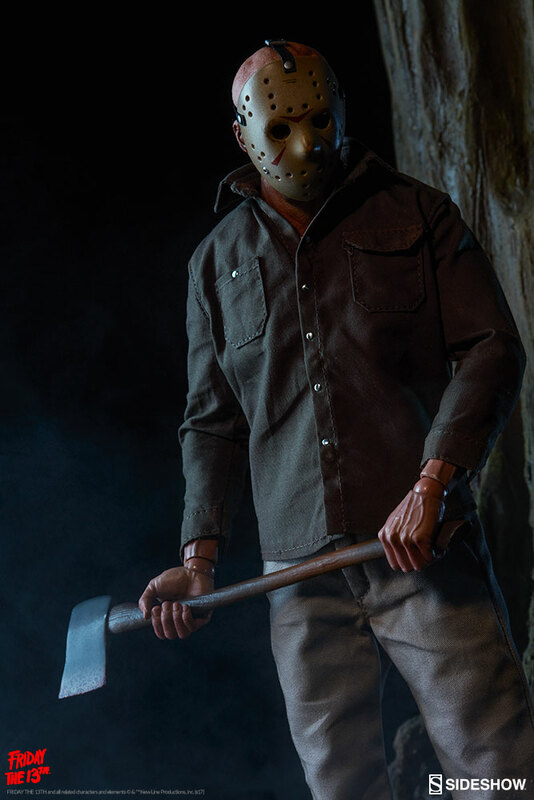 Rarely has an element from the horror genre crossed over into the mainstream consciousness as much as Jason’s fearsome mask and the artists at Sideshow have brought it to life once again. The sixth scale figure features a unique body - with a fully sculpted torso and arms, a detailed multi-piece hockey mask portrait, axe and machete with blood details, expertly tailored costume, and two sets of interchangeable hands. 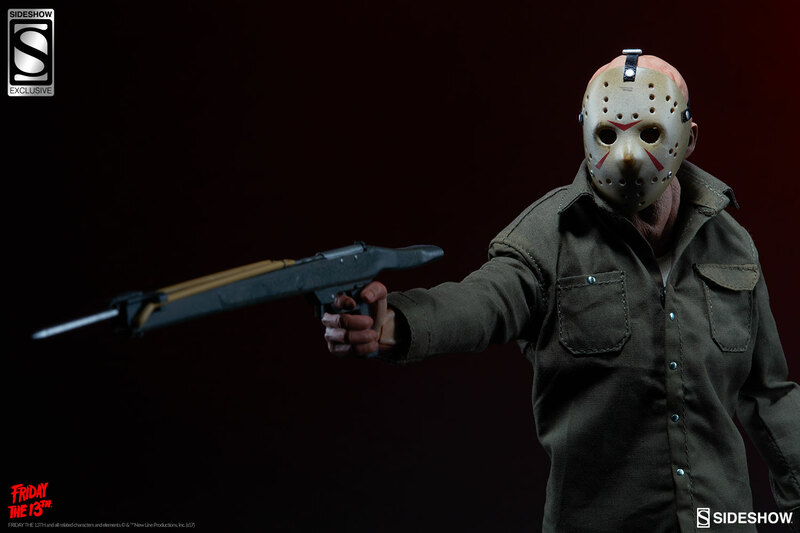 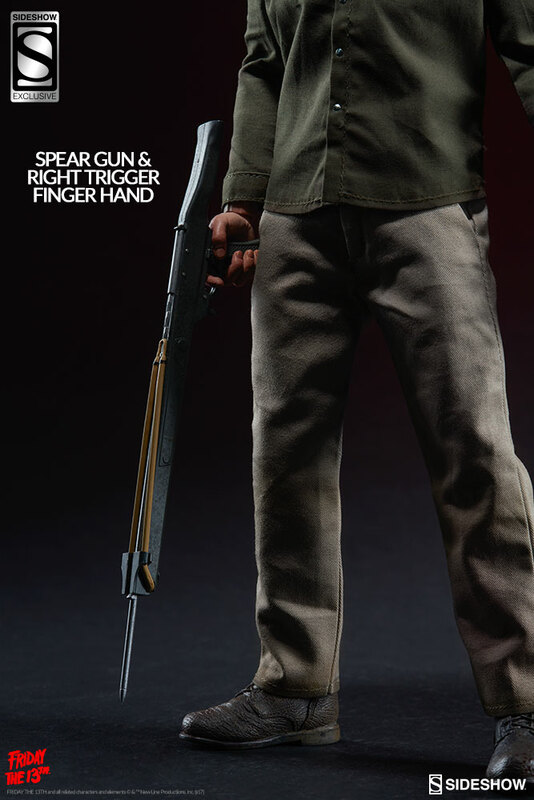 The sixth scale figure features a unique body - with a fully sculpted torso and arms, a detailed multi-piece hockey mask portrait, axe and machete with blood details, expertly tailored costume, two sets of interchangeable hands, and an exclusive right trigger finger hand and spear gun from the first "kill" with the hockey mask. 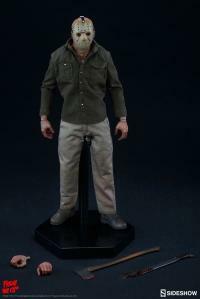 Awesome figure, great detail, in person it comes to life how real like the figure is. 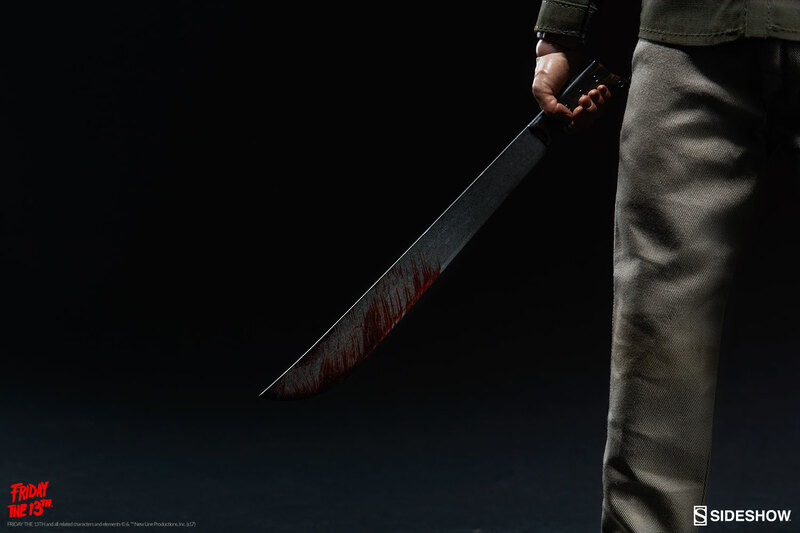 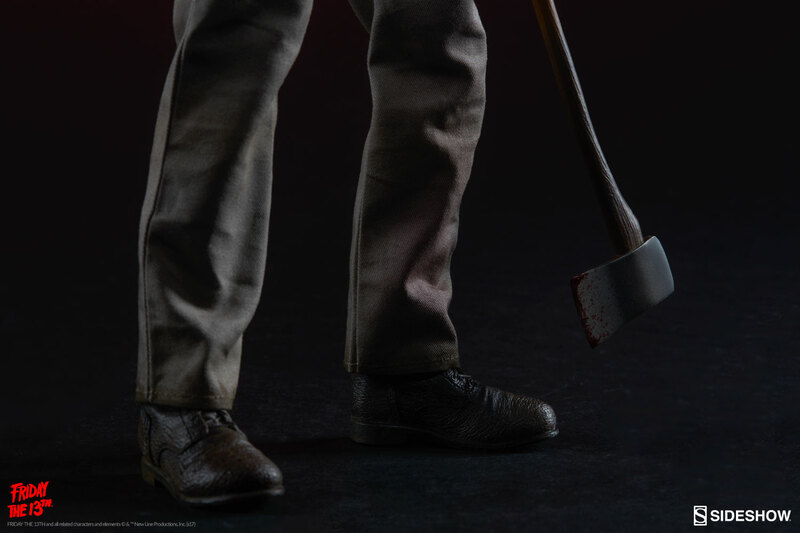 I hope they make a Friday the 13th(2009) remake figure, thats my favorite Jason look of all time. 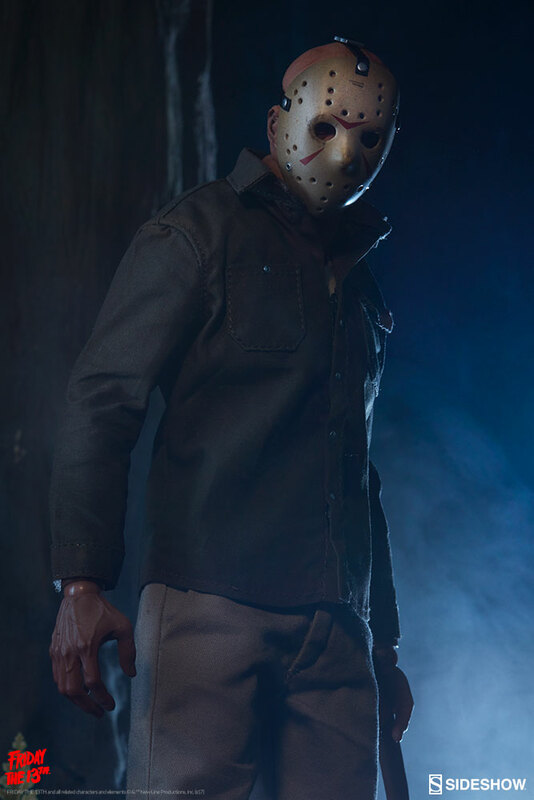 The jacket and muscular thick neck would make it a real intimidating figure. Please make that happen sideshow. 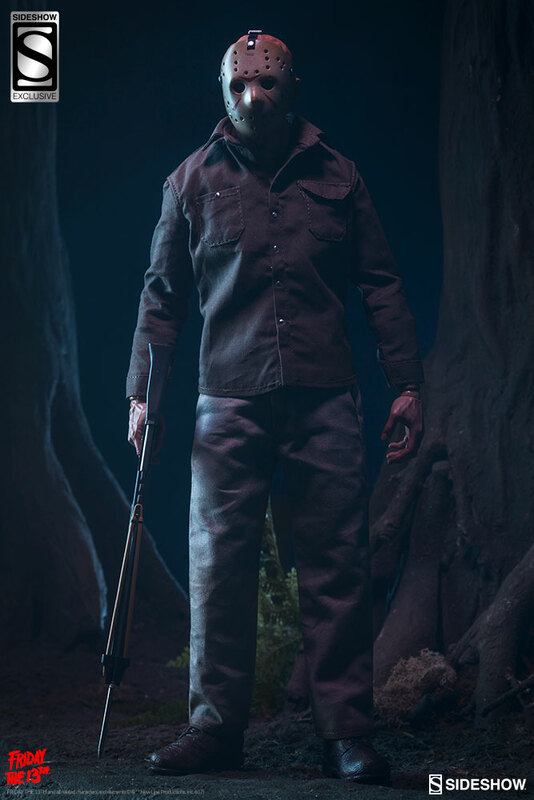 Very well done by Sideshow. 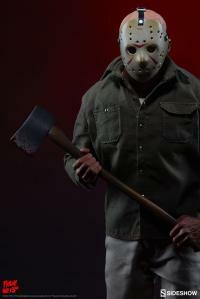 I already took pictures of him on a very dark background with low light. Results gave my wife the creeps. 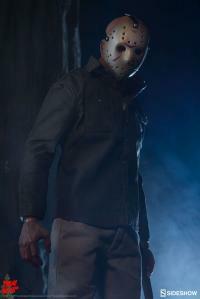 He definitely will be more famous this coming October 13th, a Friday. 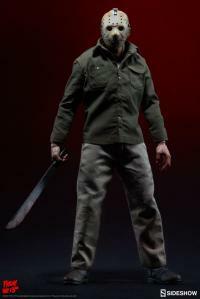 Will definitely watch out for more Sideshow 1/6 scale action figures in the future. Very clean and accurate first hockey mask "kill" look to Jason. 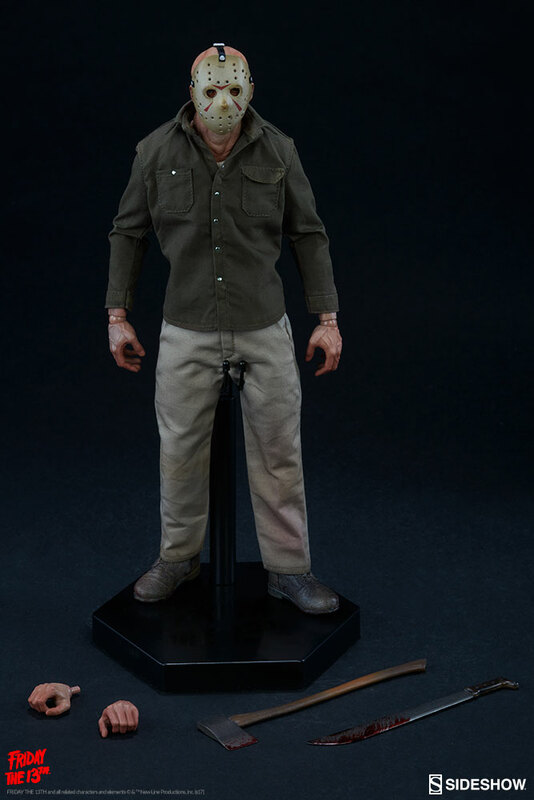 Movie accurate weathering and subtle blood splatter throughout the figure and accessories. Couldn't be happier with Sideshow's work on this iconic horror character. 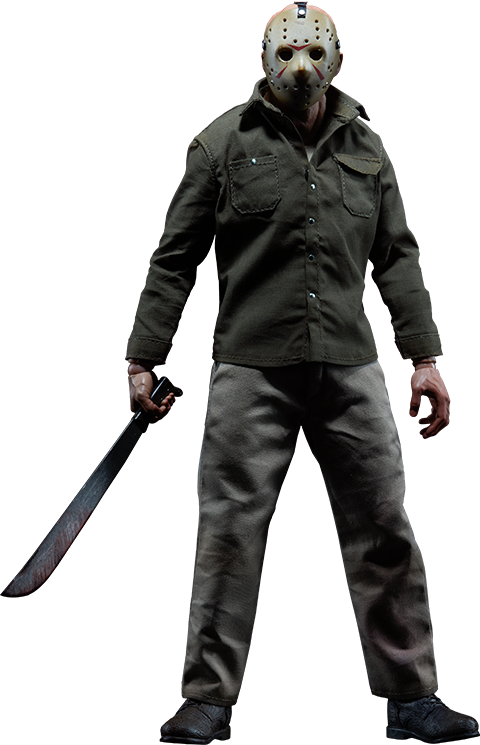 Great detail on the head/mask. 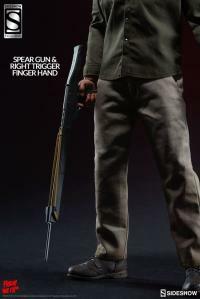 Blood spatter on weapons and pants also look great, maybe a bit understated on the pants but looks good. I only wish the sleeves were a centimeter longer to hide the wrist joints.